Begin with this quality no hole, one hole, or three hole bathroom sink/washbasin. 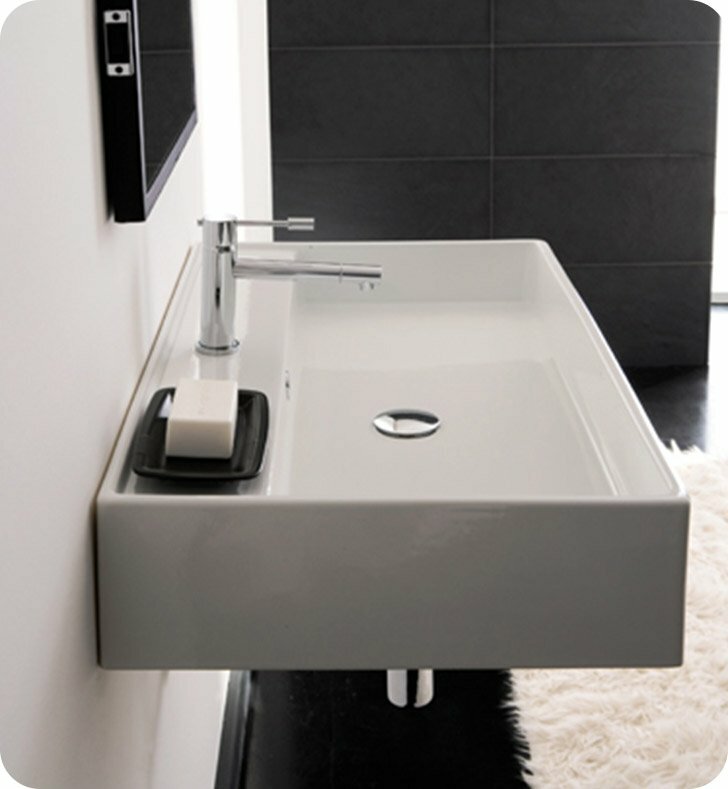 Wall mounted or vessel sink is available in white. This porcelain ceramic bathroom sink will fit perfectly into a modern & contemporary master bath. Designed and made by Scarabeo in Italy. From the Scarabeo Teorema collection.